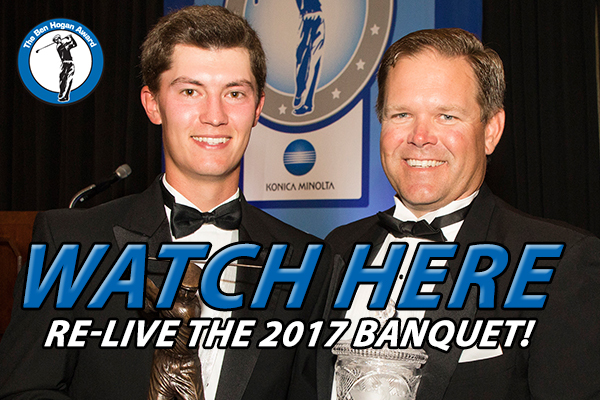 FORT WORTH, Texas (April 12, 2018) – The Hogan Trophy Award Foundation, Friends of Golf (FOG) and the Golf Coaches Association of America (GCAA) have announced the 10 semifinalists for the 2018 Ben Hogan Award presented by Konica Minolta Business Solutions U.S.A., Inc. (Konica Minolta). The semifinalist group is comprised of four seniors, four juniors and two sophomores. 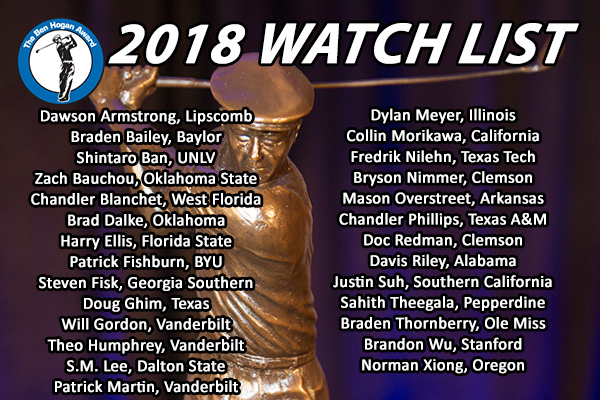 The 10 contenders, in alphabetical order, are: UNLV senior Shintaro Ban, junior Zach Bauchou of Oklahoma State, Texas senior Doug Ghim, sophomore Viktor Hovland of Oklahoma State, Vanderbilt senior Theo Humphrey, junior Collin Morikawa of California, Texas Tech senior Fredrik Nilehn, junior Justin Suh of Southern California, Ole Miss junior Braden Thornberry and sophomore Norman Xiong of Oregon. 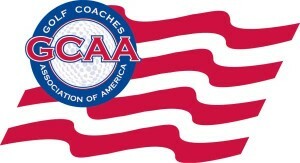 All 10 players are currently ranked among the top 30 in each of the four major ranking systems—Golfstat NCAA Player Ranking, Golfweek/Sagarin Collegiate Individual Ranking, Scratch Players World Amateur Ranking and World Amateur Golf Ranking. Morikawa (2017) is the lone player ever to previously appear as a semifinalist. Each semifinalist’s school receives a scholarship grant for its men’s golf program. 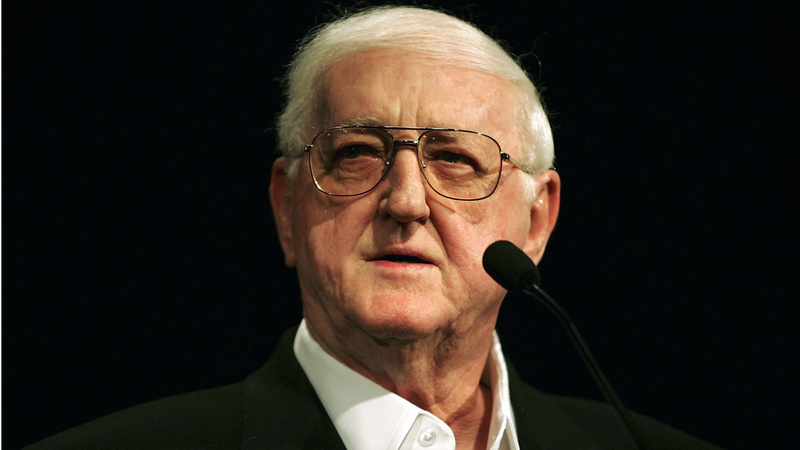 Since 2002, the Hogan Trophy Award Foundation has awarded over $700,000 in scholarships to more than two dozen universities. 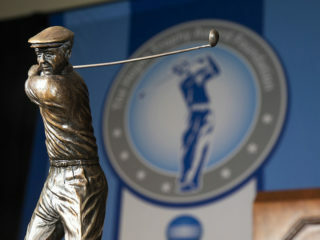 The Ben Hogan Award is issued annually in May to the top men’s NCAA Division I, II or III, NAIA or NJCAA college golfer taking into account all collegiate and amateur competitions during the past 12-month period. The award’s selection committee, which votes during each stage of the process, is made up of nearly two dozen leaders and experts in professional, amateur and collegiate golf. On Wednesday, May 2, the group of semifinalists will be pared down to three finalists. 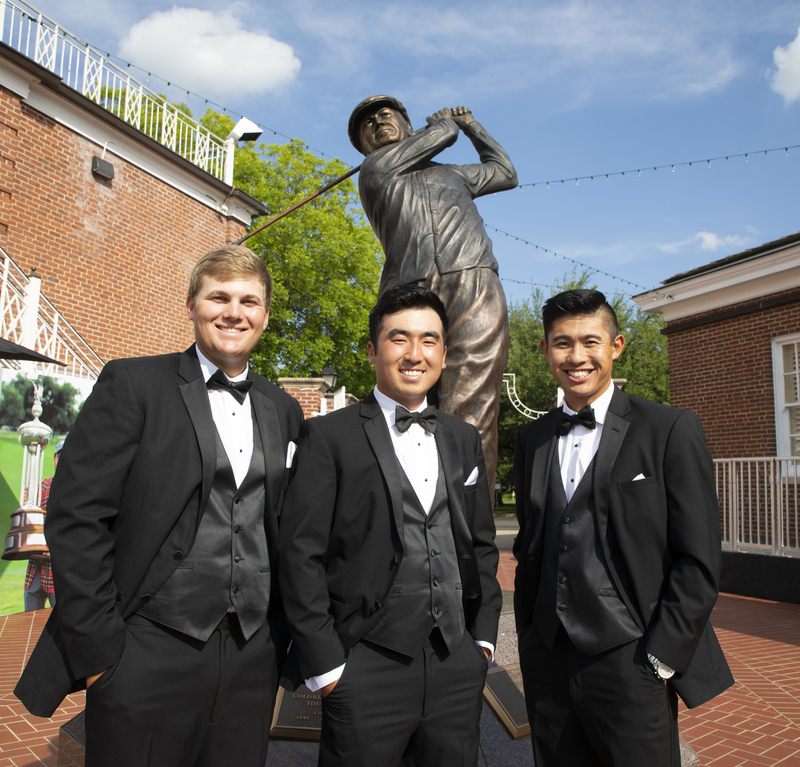 The three finalists will then travel to Fort Worth, Texas, to attend a black-tie banquet where the winner will be crowned at Colonial Country Club on Monday, May 21, prior to the start of the PGA TOUR’s Fort Worth Invitational. 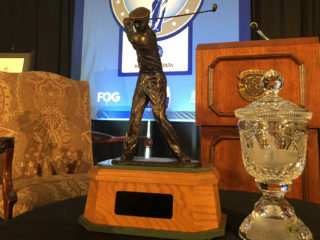 The Ben Hogan Trophy was first issued in 1990 at Bel-Air Country Club in Los Angeles and also included academic achievement in its original list of standards. In 2002, the Ben Hogan Award moved to Colonial Country Club in Fort Worth, Texas, Hogan’s hometown and the site of five of his PGA TOUR victories. At that time, it revised its criteria to its current standard of honoring the outstanding amateur collegiate golfer. In 2005, the tradition of inviting the three finalists began. Winners of the Ben Hogan Award include seven golfers currently ranked in the top 100 in the Official World Golf Rankings—Jon Rahm (2015, 2016), Rickie Fowler (2008), Patrick Cantlay (2012), Kyle Stanley (2009), Peter Uihlein (2011), Bill Haas (2004) and Ryan Moore (2005). 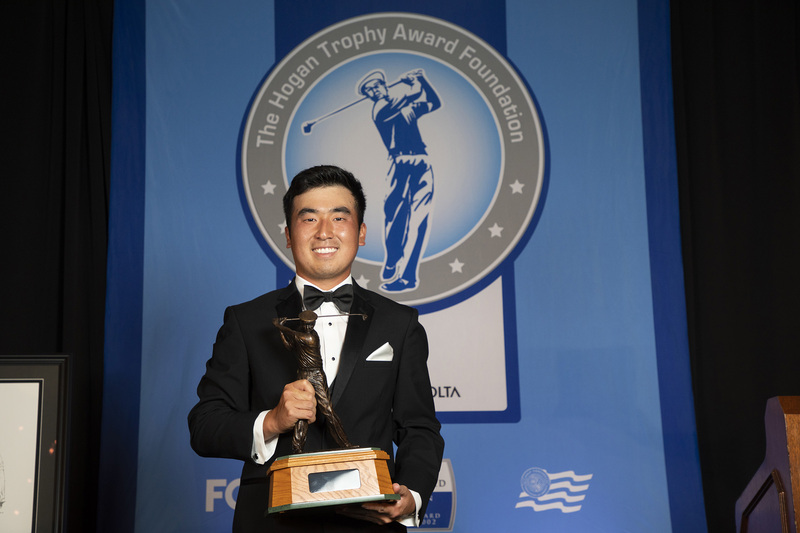 Other recipients include: Ricky Barnes (2003), Matt Every (2006), Chris Kirk (2007), Hunter Mahan (2003), Maverick McNealy (2017), Patrick Rodgers (2014), Nick Taylor (2010), D.J. Trahan (2002) and Chris Williams (2013). Some notable semifinalists over the years include: Jonas Blixt (Florida State), Bud Cauley (Alabama), Kevin Chappell (UCLA), Bryson Dechambeau (SMU), Harris English (Georgia), Brian Harman (Georgia), Russell Henley (Georgia), Beau Hossler (Texas), Dustin Johnson (Coastal Carolina), Michael Kim (California), Scott Langley (Illinois), Spencer Levin (New Mexico), Cheng-Tsung Pan (Washington), Patrick Reed (Augusta State), Ollie Schneiderjans (Georgia Tech), Webb Simpson (Wake Forest), Jordan Spieth (Texas), Justin Thomas (Alabama), Michael Thompson (Alabama), Camilo Villegas (Florida) and Nick Watney (Fresno State). • For the second consecutive year, the Ben Hogan Award semifinalist group includes four seniors, four juniors and two sophomores. • Four leagues are represented on the list, led by the Big 12 Conference with four players. The other leagues include the Pac-12 Conference (3), Southeastern Conference (2) and Mountain West Conference (1). • Oklahoma State teammates Zach Bauchou and Viktor Hovland are semifinalists, meaning for the second straight year, one school has multiple semifinalists. They are the 17th teammates to be semifinalists since 2002. • The longest active semifinalist streak by any school belongs to Oregon (3), after Stanford had its semifinalist streak of eight years snapped. Schools with active streaks include California (2), Southern California (2) and Vanderbilt (2). 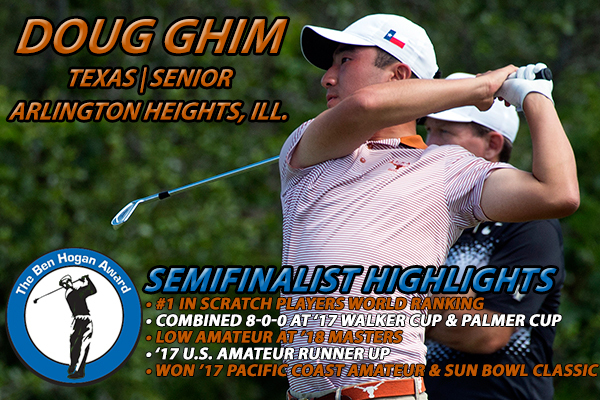 • Two universities with semifinalists are home to Ben Hogan Award winners since 2002. Those schools are: Oklahoma State (Hunter Mahan, Rickie Fowler and Peter Uihlein) and UNLV (Ryan Moore). 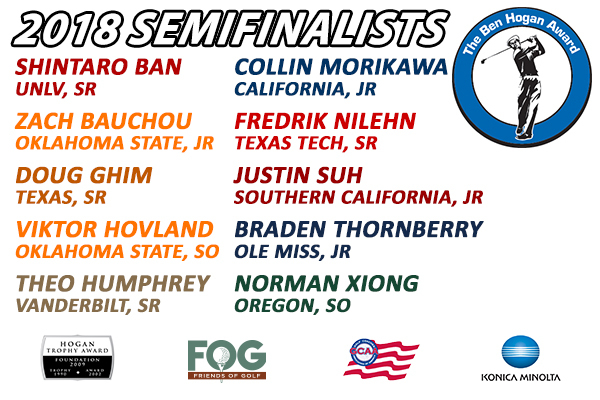 • Two golfers (Fredrik Nilehn of Texas Tech and Braden Thornberry of Ole Miss) are the first-ever semifinalists from their respective schools.